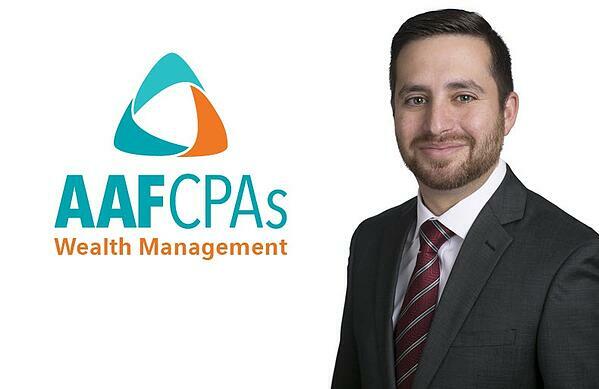 AAFCPAs Wealth Management, an affiliate company of AAFCPAs, is pleased to announce the addition of Jonathan Bloom, CFP® as a Wealth Advisor. Jonathan is a seasoned professional providing comprehensive financial planning solutions for individuals, families, business owners, benefit plan sponsors, nonprofits & foundations. “I am excited to join a growing firm known for its tax expertise, personalization, and independence,” said Jonathan. AAFCPAs Wealth Management is a boutique “fee-only” Registered Investment Advisor (RIA) firm serving individuals & families, retirement plan sponsors, and nonprofits & foundations. As an affiliate of AAFCPAs, AAFCPAs Wealth Management is able to leverage shared knowledge, providing insight into long-range planning, with full consideration for tax implications. AAFCPAs Wealth Management’s solutions are designed for those who appreciate honesty, tax expertise, and personal attention. AAFCPAs participated in #GivingTuesday, November 29th, 2016, matching employee gifts and collectively donating $13,000 to charitable nonprofits, as well as distributing donations of art supplies, craft kits, coloring books and crayons for children in need! Westborough, Mass. - (November 28, 2016): AAFCPAs, a best-in-class accounting firm known for assurance, tax and advisory solutions, today announced Nicole Zompa, CPA, joined as commercial audit partner. In this role, Nicole will advise AAFCPAs’ diverse commercial clients including early-stage venture-backed companies, family owned and private equity owned companies, and mid-sized, multinational SEC registrants, focusing on continued growth in AAFCPAs’ commercial practice. Nicole brings over 18 years of technical accounting experience to the role, offering sound guidance to clients in areas involving financial reporting, mergers, acquisitions and public offerings. The Providence, RI native, and Bryant University graduate lives in Boston and will be based at AAFCPAs’ Boston office in the Financial District. “Nicole will help us serve more commercial clients with the exceptional value that is so much in demand and appreciated by CFOs in our marketplace,” said Carla McCall, co-managing partner. AAFCPAs is an attractive alternative to the Big 4 and National CPA firms. The firm provides best-value assurance, tax, business consulting and information technology advisory solutions to nonprofit organizations, commercial companies, wealthy individuals and estates. Since 1973, AAF’s sincere approach to business and service excellence has attracted discerning clients along with the best and brightest CPA and consulting professionals. AAF donates 10% of its net profits annually to nonprofit organizations. After a great deal of hard work that’s showcased your accounting and leadership skills, you’ve been promoted to your first supervisory position. But stepping into a managerial role for the first time can be a challenge, even if you’ve led projects in the past. A recent Robert Half survey asked CFOs what they felt was the most difficult part of becoming a new manager. Thirty-two percent of respondents said the hardest part is balancing their own job responsibilities with time spent on overseeing others. The second biggest challenge, cited by 19 percent of respondents, was the awkwardness of transitioning from being friends and peers to being the boss. Other CFOs surveyed said the ability to motivate their team, one of the most important leadership skills to possess, was a difficult task. 1. Set boundaries. Don’t wait to define and maintain boundaries. If you maintain the same former relationships with coworkers you’re now supervising, you might have a hard time asserting your authority when you need to. By acknowledging the changing dynamic between you and them right away, everyone is clear on your new role. Above all, if one of your best friends is a former peer, it’s vital for staff morale for you not to show favoritism. 2. Learn to delegate. You used to be just an accountant or analyst, but now you’ve added management responsibilities to your to-do list. No wonder so many respondents to the Accountemps survey said the most difficult part of first-time management was trying to do it all. Assigning tasks to others is one of those leadership skills new supervisors must become comfortable with. So the next time you feel you have too much on your plate, hand off some duties to your staff. At first, it may be frustrating to dedicate time to explain tasks can perfectly do on your own, but it’s the only way you’ll be able to take full advantage of your team. The extra time you put in now will pay off later on. 3. Ease into changes. You have a vision for your team, but pushing through your agenda too quickly does not reflect sound leadership skills. It will only overwhelm and frustrate your department. Instead, start small and slow. Take the time to learn more about your new job, the firm’s long-term plans and, most important, your staff’s ideas. 4. Prioritize communication and dialogue. Good managers take the time to listen to their staff and learn more about them. What are their career goals? What is their dominant learning style? What do they think are areas that need improvement? The more you know about their ambitions and opinions, the better you can lead and motivate the team. In addition to weekly or monthly group meetings, aim to hold one-on-one sessions as well. 5. Don’t micromanage. Do you like it when your boss breathes down your neck and checks on your progress twice a day? Then don’t do it to your employees. Empower your staff and inspire innovation by letting them determine the best ways to solve problems. Give them room to fail or succeed, and to learn from those experiences. Offer guidance and support, not step-by-step instructions. The more breathing room you give your staff, the more they’ll grow as finance professionals and develop their own leadership skills. 6. Take care of your needs. With new management meetings, extra human resources duties and dealing with budgets — all on top of your accounting workload — there doesn’t seem to be enough time to get everything done. That’s why, as a manager, time management — including attending to your work-life balance as never before — becomes even more important. Take regular breaks, including a real lunch with staff and non-finance colleagues. Block out time on your calendar so you can complete your tasks. And don’t forget to use your vacation days. 7. Find a mentor. This may seem counterintuitive, but the truth is, you could benefit from a mentor with managerial experience now more than ever. A mentor can give you advice on areas such as how to manage Generation Z workers and which of your leadership skills need improving. This individual also acts as a sounding board. If your company doesn’t have a formal mentoring program, look for a more senior manager who may be willing to serve in this role. New management comes with its share of challenges, but also a set of exciting opportunities. In addition to honing your existing leadership skills, focus on empowering your employees and making time for yourself. When you need help or support, don’t hesitate to talk to your boss or mentor. Enjoy this new chapter in your finance career! Click here for the article site. As Halloween nears, people’s thoughts inevitably turn to ghoulies and ghosties, and long-leggedy beasties, and things that go bump in the night. At the Wire we take this opportunity to reflect on the scariest risks our clients faced this year. Which one scares you most? Take our poll at the end and let us know. Last week showed us that the emergence of the Internet of Things can lead to frightening new variants of old threats. The distributed denial of service (DDoS) attack against a single company was able to take down major portions of the Internet. Reportedly 1 Terabit of data per second (akin to downloading the Library of Congress every 2 minutes) was hurled at the targeted company by hundreds of thousands (if not tens of millions) of baby monitors, DVRs, security cameras and similar devices—collectively making up the “Internet of Things” (IoT). The notion that baby monitors could be unwitting participants in a massive DDoS attack such as this is both alarming and not surprising. Awareness that this is possible is important. As we understand how the IoT works – that baby monitors, or DVRs, or any other intelligent devices are basically miniature “PCs” with less control and visibility to their owners – it’s not difficult to see how these devices could be hacked and misused. And awareness, of course, is the first step toward correction. Efforts to adapt to the impacts of climate change are high on the agenda of governments and international organizations around the world. Last year, the milestone agreements made in Paris at COP21, have helped set us on a more sustainable and resilient path. However, the challenge to meet the target of limiting global warming to 2 degrees Celsius above the pre-industrial global average, looms large, and the future for generations to come will have to deal with our choices today. The insurance industry has a part to play in helping to build resilience to the extreme events, both in our current climate and in a future warmer world where extremes such as droughts, storms, floods and others, may occur more frequently. Science can help us quantify these changes and inform the best strategies for managing extreme risks. But scarier still is the concept of climate tipping points. One such theoretical example is a loss of permafrost due to Arctic warming leading to a release of stored methane into the atmosphere. Being a highly effective greenhouse gas, this methane release could conceivably accelerate global warming, to induce a runaway effect known as the ‘clathrate gun hypothesis’, and could thereby bring about an abrupt change of climate state within a human lifetime. There are many theories that describe similar climate ‘tipping points’, which would make adaptation more difficult, so the best way to avoid these would be through mitigating climate change, but this presents different challenges. There is no “silver bullet” solution to climate change, and it is likely to be a concerted effort that makes the difference. By furthering climate impact research, fostering multisectoral partnerships, developing new financial tools to provide climate resilience, and supporting climate conscious investments, the insurance and reinsurance industries have great potential to contribute to this global challenge. In the era of the alliance, the potential for third-party risks looms large for the transportation sector. Like phantoms, the threat they pose often remains hidden until it is too late. As the collapse of Hanjin Shipping taught participants in the global maritime supply chain, every member is vulnerable to the weaknesses of its partners and, through them, the partners they may not know they have. In Hanjin’s case, many beneficial cargo owners who had no commercial contract with the Korean carrier had their goods held hostage on stranded ships as creditors circled, reputations were tarred and customers fumed. But how well can you know your partners in a commercial environment where they also operate as your competitors? The answer is: too often, not well enough. In the connected world of the transport provider, the more partners a business has, the more risks it assumes. Even the most robust company must assume their partners’ appetite for risk, awareness of risk and their ability to defend against it. When airlines make promises to their customers about frequent-flier plans, their reputations rely on their partners’ ability to deliver; when a rail carrier compiles consumer credit card numbers, their security relies on the strength of shared platforms; and when shipping lines promise delivery dates, it is their partners who often fulfill those obligations. As commercial pressures continue to fuel the pursuit of economies of scale, alliances and partnerships will continue to multiply and the hidden risks will grow. So companies will be known by the company they keep. Another communicable disease made headlines this year with the Zika outbreak and it is not over yet. The recent tropical storms and hurricanes (with high probability of more) left many with flooding and standing water. This is the perfect breeding environment for mosquitos. The CDC has reported there are over 2,475 pregnant women with lab evidence of possible Zika virus, which can cause devastating birth defects. There are still unanswered questions concerning the spread of Zika and the potential long-term health effects. Zika also continues to cause disruption in the travel and hospitality industries. Many countries and cities have been hard hit as their economies are dependent on tourism and business travel. Communicable diseases will continue to be a “scary” issue for our world for many years to come and its citizens must work together to prevent, educate and overcome these outbreaks. The cyber criminal’s modus operandi of choice in 2016 has undoubtedly been the use of ransomware – i.e. encrypting or locking an organisation’s computer system and then demanding a ransom to decrypt or release it. Whilst the technology has been there for years, the last 12-18 months has seen a dramatic increase in its adoption. The Australian Government has claimed that 72% of surveyed businesses had been victims of ransomware attack in 2015, and leading cyber security experts Kaspersky Lab estimates that ransomware attacks increased fivefold in the 12 months leading up to March 2016. And yet something approaching 50% of cyber insurance policies offer no ransomware protection at all: such policies typically cover only extortion demands by hackers threatening a future attack, rather than where the attack has taken place and the ransom is demanded so as to bring the adverse effects to an end. And that’s before one considers the legality of paying ransoms to criminals who may be subject to sanctions; or the practical implications of notifying law enforcement agencies (as typically required by cyber insurers) in jurisdictions where the inevitable response is to seize all the victim organisation’s computer hardware as evidence. And if that’s not scary enough, just imagine the potential for ransomware attacks on autonomous cars, e-enabled aircraft and perhaps electronic medical implants. Be afraid; be very afraid! So what can one do to protect against ransomware? The FBI amongst other agencies provides some useful tips covering the basics, but no defence is watertight. Hence the value of appropriately worded cyber insurance policies (rather than many un-vetted off-the-shelf products). As our world becomes increasingly more connected, it no longer takes a coordinated effort on behalf of terrorist groups to inflict terrible damage on societies across the globe. With the advent of interconnected communication systems like social media, recent terror attacks have been largely conducted by a single or small group of assailants not specifically associated with terror groups, but simply inspired by terrorist ideology. Terror attacks in 2016 no longer have the same profile as attacks in 1990 or 2001: recent events also demonstrate a shift from targeting property toward inflicting mass casualties — from the November 2015 Paris attacks to the San Bernardino Shootings, the Orlando Shootings, and the July 2016 attack in Dhaka, Bangladesh. As recent events signal a shift away from large property damage, we have seen a spate of new product offerings looking to cover the gaps in coverage that result from insuring terrorism from just a property-based lens. New products, such as active assailant coverage, which does not require property damage to trigger business interruption cover, are helping insureds protect themselves from the changing nature of terrorism. From an energy industry perspective, the scariest risk in 2016 is an offshore cyber-attack leading to significant property destruction, pollution and loss of life on the scale of the Deepwater Horizon incident in 2017. The potential exposure, running into multiple billions of dollars, may well be enough to threaten the very viability of the affected company. To date, no viable risk transfer solution exists for such an eventuality; not only is offshore cyber risk cover involving physical loss or damage virtually non-existent, but even if it existed, current insurance market capacity for business interruption, pollution liability and operators extra expense – approximately US$1.5-2 billion — are in themselves unlikely to be sufficient to absorb such a risk. Most dangerous and explosive volcanoes erupt at intervals of several decades or more – long enough for populations and businesses to become established within range. In Europe alone we have two large “currently dormant but potentially active” dangerous volcanoes—Vesuvius (Italy) and Teide (Spain) —with traced records of major explosive and violent eruptive behavior. These volcanoes could reawake at any time in the near future. The modest eruption of the Eyjafjallajökull volcano in Iceland in 2010 caused millions of pounds in losses from international business interruption owing to the closure of air routes across Europe. A scary thought is to think about the damage, losses and devastation that a large volcanic eruption from Teide or Vesuvius could cause to the European economy, as well as the impact on global climate and the threat from secondary perils such as tsunamis, pyroclastic flows, lahars and landslides. We need to raise awareness of volcanic risk and look at ways of enhancing safety and resilience, especially when living in the shadow of a volcano. For some, Base Erosion and Profit Shifting (BEPS) may be causing nightmares, but should it be? BEPS is the OECD’s response to tackling tax avoidance on an international scale, with captive insurance companies specifically referenced on the BEPS target list. However, is it really as scary as it seems? After all, BEPS merely formalises some good practice that, for most captive owners, is already in place. Take a few sensible steps, and BEPS needn’t cause sleepless nights. Like the bogeyman, the ‘threat’ might be more imaginary than you think. This ought to scare all of our clients across all lines of business, not only the sophisticated insurance buyers we come across in the alternative risk transfer (ART) space. Recent commentary suggests that we are approaching, if not already past(! ), the bottom of the insurance cycle. Swiss Re’s Group Chief Underwriting Officer, Mathias Weber, made such comments at the recent “Rendez Vous de Septembre” in Monte Carlo. Many market experts seem to agree with him. A major event, or a combination of significant events, will decrease supply of both traditional and alternative capital. The consequences could be dramatic and include increased price and limited cover – per definition a turn of the market. This is a scenario every risk manager will be nervous about. Those who may be a little less scared probably have explored alternative risk transfer solutions and locked in portions of their risk cover as long-term deals (three to five years) — one way to hedge against price volatility. Capitol Hill has been one of the scariest spots on earth for financial executives this year. In any election year politicians are anxious to make headlines, and this year financial institutions have been a favorite scapegoat for both parties. Dodd-Frank now makes senior management more liable for problems at their institutions (as well as potentially putting their compensation at risk). A subpoena to appear before a congressional investigatory committee, especially if it means responding to allegations of malfeasance or mismanagement, should terrify any sane executive. Grandstanding politicians with the opportunity to browbeat well-compensated financial institution executives – well, that’s a dream for ambitious politicians and a nightmare for financial executives. The best way to chase away these nightmares is transparency. Clear policies, strong controls and independent audit staff will help keep those scary politicians at bay. It’s your reputation, stupid! We’ve all heard about the personal liability exposure for senior managers caught up in regulatory investigations and enquiries in the post-financial crash era. But what about the risk that your reputation becomes tarred by association with a big loss or scandal without you first having had an opportunity even to put your side of the case? Against the rules of natural justice? Well, that’s one of the arguments which will be run by a manager formerly in charge of the London office of one of the world’s largest investment banks in the infamous London Whale case, which is due to be heard by the U.K. Supreme Court before the end of this year. An even greater element of this nightmare scenario is that many D&O polices do not provide this type of protection for reputational expenses for managers in the absence of a claim. Uncertainties about the impact of BREXIT weigh heavily in the boardrooms of U.K. construction and property sector businesses. Will investment disappear and projects be cancelled? Will significant design changes be necessary to manage a limited investment? Time will tell, but for now uncertainty is about the only certainty. And financial uncertainty is, for most businesses, their single biggest fear. Much of the U.K. Government’s pipeline of GBP51bn of projects was uncertain even before the 23 June 2016 vote. Some 60% of this pipeline relies on private sector investment, now likely jeopardised by the current climate. Will foreign investment fall away given the doubt about the shape of future trade agreements between the U.K. and the E.U.? Large infrastructure projects will lose a key source of funding – the European Investment Bank (made up of E.U. Members) lent EUR5.5bn to U.K. infrastructure projects in 2015. Previously approved projects will likely proceed, but obtaining approval going forward will certainly get harder. Confidence is needed to encourage investment and promote stability. Perhaps the Government’s decision on Hinckley Point is a step in the right direction – on that front at least. The scariest risk in 2016 for P&C in Brazil was terrorism, as the country hosted the Olympics. Government and businesses have had to contemplate the heightened threat of terrorists targeting the country. Transport facilities, stadiums, shopping malls, hotels, hospitals, storage tanks of flammable materials, bridges, tunnels, tourist attractions, water treatment and supply plants, and offices of iconic brands were all on higher alert. The risk and the product got the attention of media and customers. The scariest communication risk is not sharing benefits information with your employees on a regular and consistent basis — relying instead on spooky “water cooler” conversations to fill in the gaps. This can lead to “scary” misunderstandings and even more horrifying rumors. To foster employee engagement, ensure understanding, and help employees understand those mysterious benefits and use them wisely, strive to communicate year round. A communications plan with a production schedule will minimize your toil and trouble and keep the information hounds at bay. While we’ve spent the better part of the last 6 years being scared by the next ACA shoe to drop (and that might still be scary), employers have new compliance issues to be wary about. The recent EEOC guidance on wellness plans and their interaction with the ADA and GINA caused many to have sleepless nights as they upended the status quo. Even scarier perhaps is that the Office of Civil Rights in Health and Human Services is analyzing the results of their Phase II HIPAA audit programs. The goal is to then take the information and apply those findings to employer sponsored group medical plans generally. So, for employers who have not kept up to date with the HIPAA obligations of their group medical plans, they should not delay in getting those plans reviewed as the audit program may be rolled out at any time. On May 18, 2016, the Department of Labor (DOL) issued the long-awaited final regulations updating the overtime pay rules. The final regulations primarily focus on increasing the salary thresholds needed to qualify as an employee who is exempt from the FLSA’s overtime and reporting requirements. These new rules, increasing the minimum salary threshold to $913/week, will have a major impact on many employers as they extend the overtime protection to 4.2 million employees that were not previously covered – and employers have been scrambling to prepare all year. Effective December 1, 2016, how will these changes affect your organization and what do you need to do to prepare? Wake Up Call: Are You or Your Staff Tired at Work? Have you ever gone out to take a nap in your car because you were too tired at work? Do you ever catch yourself — or your employees — sleeping at work? If that caused you to yawn, you’re not alone. In an Accountemps survey of more than 1,000 U.S. workers, 74 percent of them say they’re often tired at work. This is particularly true for working parents, as they often have to pull a second shift of childcare and housework when they get home from their day job. Working while tired hurts work performance. Survey respondents admit that when they’re tired at work, they lack focus or are easily distracted (52 percent), procrastinate more (47 percent), are grumpy (38 percent) and make more mistakes (29 percent). Being sleepy at work could be holding you back professionally. For employers, the consequences are potentially worse, as accounting mistakes could lead to missed deadlines, fines, audits and unhappy clients. It’s time to wake up. Here are some tips to help you and your staff become more alert on the job. Though some work stress is positive according to a Robert Half survey, some accounting and finance professionals put in long, hard hours. It’s important to take care of yourself so you don’t burn out and crash. Limit device time. Face it: If you’re sleeping at work, you’re not getting enough zzz’s at home. One of the top time bandits today are mobile devices. These gadgets are filled with games, news, social interactions and endless opportunities to go down the rabbit hole. For those who are regularly tired at work, be disciplined enough to put away your tablet or smartphone after 10 p.m. and go to bed. Feed your body well. Oftentimes, you’re tired at work because good nutrition and hydration aren’t priorities. To be in top form at the office, you should eat a good breakfast, drink sufficient fluids, take time out for lunch and have an energy-dense snack in the mid-afternoon. Get up and move. Your desk job may be harmful to your health, so make it a point to not be so sedentary during the day. Take the stairs instead of the elevator. Every hour or so, stand up and shake off the lethargy. Rather than sleeping at work, go outside and take a brisk walk around the block. Some smart watches even tell you when it’s “time to stand” by monitoring your heart rate. Use caffeine wisely. While some caffeine may help you stay alert, be sure to limit your caffeine intake in the late afternoon, or you may have trouble falling asleep at night. Lead by example. Staff tend to follow their manager’s lead in many areas, including work tendencies. So use up your vacation days instead of banking them. Take a real lunch break. Don’t come in too early or stay too late. Allow flexibility in the workplace. If you have good employees who are always tired, it may be to your advantage to accommodate their needs. For example, you could let them work remotely to eliminate their long commute, giving them more time to rest. Maximize the work environment. An overly warm or dark office can lead to sleeping at work – so adjust the thermostat and lighting as necessary. Brainstorm other ways to help workers be healthier and less tired at work. Rather than donuts and fun-size candies, you could provide energy-dense snacks like granola bars, dried fruit, beef jerky or mixed nuts. Limit evening emails. Is it common for employees to check and respond to messages after work? If so, this habit could be cutting into their rest time. You may want to consider a policy that discourages or limits after-hours communication. Hire more staff. One of the reasons your accountants may be tired at work is that they’re overworked. To take some of the load off their shoulders, add more full-time or temporary staff. Temporary professionals aren’t just for peak periods anymore. When you make it a point to take care of yourself and/or your finance staff, the rewards will be greater job satisfaction and productivity. Between meeting new people and mastering different software, the start of a finance or accounting job is a busy and exciting time. However, you’re not the only one learning. Your new boss and colleagues are watching and scrutinizing your performance during the first few months to learn whether you’re a keeper. How long do most employers take to decide whether new hires will make the cut? According to a recent Robert Half Finance & Accounting survey, up to 90 days is common. The majority of CFOs interviewed — 54 percent — give newcomers between one and three months to prove themselves, and 9 percent allot less than 30 days. · Read up on the company’s main competitors. · Familiarize yourself with the accounting platforms you’ll be using. · Go on the company’s website and start memorizing future colleagues’ faces and names. 2. Be more than prompt. Demonstrate your dedication to the new job by not just showing up on time, but early. Not only will your boss be impressed by your enthusiasm and commitment, but you can use the extra 10 to 15 minutes to plan your day, study onboarding materials, review training notes and jot down questions or comments you have about the position or company. 3. Ask for help. Some new employees think asking questions might make them appear amateurish. While you don’t want to be repetitive or a nuisance, you do need information that veteran employees take for granted. Take advantage of the leeway you’ll be given at the start of your probation period to learn as much as you can. In most cases, your colleagues would be happy to help and share their knowledge. Asking for help is also a good way to get to know your coworkers and build relationships. 4. Watch your business etiquette. Good manners are always important in a workplace setting, but they’re especially key during when you are beginning a new job. The last thing you want is to commit a faux pas that makes your boss and colleagues think less of your capabilities or question whether you’ll be easy to work with. · Practice good cubicle etiquette, such as respecting your coworkers’ space and office supplies and keeping noise to a minimum. · Polish up your conference call etiquette. A good rule of thumb is to pay attention to what your supervisor and coworkers do, and follow their lead. 5. Steer clear of politics. The longer you’re in your new job, the more likely you’ll encounter office politics. It’s best to listen and learn but not get involved or take sides, most especially during your first 90 days. The same goes for discussions about local and federal elections. While a recent Accountemps survey shows some workers feel that talking politics at work could be informative, the majority believe these discussions can get heated and offend others. 6. Be social. Your new coworkers’ feedback plays an important part in letting managers know whether you’re a good match for the corporate culture. One way to quickly fit into your new workplace is to be friendly and outgoing. So accept those invitations for coffee or after-work drinks, even if you’re a natural introvert. Rather than eating at your desk all the time, take a lunch break with coworkers or non-finance colleagues. The deeper your professional relationships, the better you’ll fit in at the new workplace. 7. First adapt, and then improve. One of the reasons you were hired was for your expertise. However, the first few months as a new hire is not the time to be a know-it-all. Rather, this is a time to watch, ask questions, listen and learn. Only after you understand the new employer’s methodologies and culture should you suggest changes. It’s in everybody’s interests that you thrive in your job and settle in as a valued member of the team. Let your boss and colleagues know you’re a keeper by demonstrating enthusiasm, professionalism and diplomacy. In any company where a wide range of experience exists, chances are you also have a multigenerational workforce. Your finance department likely has baby boomer controllers, Gen X tax managers, Gen Y financial analysts and Gen Z payroll specialists. They may have a lot in common, however being formed by the decade in which they came of age, they also have varying outlooks, values, communication preferences and work styles. If you’re the manager of this disparate group — and depending on which generation you fall in — you may wonder about how to lead such a wide range of ages. Here are four tips on how to lead a multigenerational workforce. To manage a multigenerational workforce, you have to know what makes them tick. The four generations in today’s workforce have unique preferences, from general behavior to decision-making processes. Baby boomers (born 1946–1964) are work-centric, independent, tend to challenge the rules and have a somewhat guarded communication style. Gen X (born 1965–1977) grew up in the boomers’ shadows. They’re a little cynical, a lot individualistic and are highly adaptable to change. Gen Y (born 1978–1989) came of age as internet technology emerged and dominated their world. They tend to prioritize family, friends and teamwork. Gen Z (born 1990–1999) are tech natives. They have never known a world without the internet, are constant communicators and, having seen their parents weather the Great Recession, desire stability. Of course, not every member of these generations can be neatly categorized; there’s a wide range of behaviors within each group. These are general tendencies that can provide business leaders with useful insights about how to manage a multigenerational workforce. For millennials (a term that refers to both Gen Y and Gen Z combined) to work well with older generations, they have to get to know each other on more than just a superficial level. According to Get Ready for Generation Z, a white paper from Robert Half and Enactus, 45 percent of Gen Zers expect working with baby boomers to be difficult. They’re concerned they will be seen as “kids” and won’t be taken seriously. Similarly, boomers may be puzzled by the communication preferences and work ethics of the youngest working generation, and are afraid they will be seen as old-fashioned or irrelevant. As a manager of an accounting or finance group, one of your roles is to strengthen work relationships and promote camaraderie. Help the generations mix, mingle and learn about each other with team-building activities. Promote the mindset that each generation has much to offer the team. Be generous with your acknowledgement of different cohorts’ contributions. Your employees reflect senior management’s values, so make sure you’re setting a good example. Your Gen Z workers are eager to learn and rapidly advance their careers. In fact, our research shows that 56 percent of Gen Z respondents want to be working their way up the corporate ladder or managing employees within five years of graduating from college. This go-getting generation of accountants will need some help getting there. Set them up for success by giving them plenty of opportunities and resources to develop their communication skills, office etiquette, customer service abilities and aptitude for leadership. Gen Z isn’t the only generation that can benefit from continuing professional education and development. Seminars and workshops are effective ways to provide team-wide training. They keep everyone up to speed on the newest developments in the accounting and finance fields. Most survey respondents cited in The People Puzzle, a report from Robert Half and the American Institute for CPAs, said they prefer in-person training opportunities such as on-site workshops (28 percent) and off-site conferences or seminars (23 percent). Encouraging staff to attain professional certifications helps your department gain a deeper knowledge base. Mentoring is an excellent means of solidifying the bonds of a multigenerational workforce. A recent Robert Half survey found that while 86 percent of CFOs interviewed say it’s important to have a mentor, only 26 percent of workers have one. If your accounting firm or finance department doesn’t have a mentoring program, start one. If you have one but it’s inactive, it’s time to resurrect it. You should also encourage reverse mentorships, where Gen Yers and Gen Zers teach senior staff a thing or two about areas where they have expertise, such as social media best practices. Helping members of a multigenerational workforce interact smoothly and productively is a must-do for managers today. Understanding that all employees — from boomer to Gen Z — have much to offer a company will allow you to make the best use of everyone’s talents. For a tight team of workers with similar backgrounds, collaboration might come easy. But what about projects that bring together professionals from your IT and finance divisions? A recent Robert Half Management Resources survey found that CFOs and CIOs are working together more today than they did three years ago. Cross-functional collaboration is also occurring more often at the staff level. Ask your staff to minimize accounting jargon and industry shorthand. For example, if the finance and tech departments are working on customizing your enterprise resource planning (ERP) software, go easy on potentially confusing terminology like contra accounts and AR/AP. Similarly, if the other department starts throwing around an alphabet soup of acronyms, step up and ask for clarification. To promote collaboration, consider including some fun activities so people get to know one another, such as this icebreaker: Have each participant email you a picture of their spirit animal in advance of a group meeting, and then put the images into PowerPoint. As everyone introduces themselves, display their image and have them explain why they identify with that particular animal. Plan social events — off-site lunches, bowling nights, catching a baseball game — and invite one department at a time to join you. Team up with other divisions on company-wide volunteer projects. Typically, when you gather people together — some will dominate the conversation while others will hang back. Do your best to encourage more introverted members of the group to contribute to the discussion. You can do this by simply suggesting, “Let’s listen to some ideas from someone we haven’t heard from.” In addition, remind your team that you welcome feedback via email, in person or by phone. Some of your accountants may have a hard time understanding why they need to collaborate with other departments or how their role factors into the company’s success. Help them break out of this silo mindset. Encourage collaboration by asking a leader from another department to give your team a presentation on what their group does, and include a Q&A afterwards. Or, if a finance staff member needs to work closely with IT, sales or marketing, arrange a job shadowing experience so they can learn firsthand about their colleague’s role. Team members are bound to disagree now and then, especially if they come from different departments. Individuals can work out small conflicts on their own, but bigger ones may require management to step in. If you observe a conflict taking root, step in before it escalates. It may require that you reassign teams. A party is a great way to mark major milestones or the end of the completion of a big project. Be sure to recognize the entire group’s efforts and acknowledge their hard work. Give kudos to outstanding staff — from accounting as well as other departments — who went above and beyond. Celebrations and gratitude can boost morale and improve job satisfaction and retention. With cross-departmental collaboration, your team might include a mix of wallflowers and social butterflies, critical thinkers and creative types, planners and spontaneous decision makers. But they all share one ideal: They’re professionals in their respective fields and they’re here to make the company and its product better. Your job as a manager is to highlight their strengths and foster collaboration that is pleasant, productive and profitable. Amber Aubin, Daniel Cahill, Patrick Coakley, Nicholas Foresti, David Gravel, David Mercer, Sheng Wu, and Maggie You have been promoted to Supervisor. Sabrina Bleakney, Morgan Buckley, Ryan DeCinto, Taylor Ezold, CJ Gheringhelli, Tom Haggerty, Pauline Legor, Matthew Murphy, Leanne Precopio, Jared White, and Elizabeth Wright have been promoted to Senior. James Carlise, Grace Carter, Colleen Cavalier, Tiffany Coulam, Allison Cree, Anna Degtyareva, David Eidle, Jr, Allison Graham, Jennifer L'Heureux, Rachel McClain, Kasey Moran, Sandy Tarasiak, and Cody Wopschall have been promoted to Semi-Senior. Managing Director Davide Villani, CPA joined a panel of IRS and DOL professionals providing guidance on 401(k) and 403(b) retirement plan compliance at an event hosted by Mayflower Advisors LLC and MA Jump$tart Coalition. Partner Jeffrey Mead, CPA, CGMA will present an educational workshop for the benefit of accounting academia at the American Accounting Association (AAA) 2016 Northeast Region Meeting in October 2016. Donna Angelico, Director of Talent Management, and her team, The Treasured Chests, were one of Boston’s top fundraising teams this year in the AVON 39 challenge! They have raised an impressive $104,219.99 to date through the Avon Walk! AAFCPAs participated in the 2016 Thousand for Thousand campaign by ALS ONE to help fund a cure and treatment for ALS. Partnering with Habitat for Humanity MetroWest/Greater Worcester (HFH MWGW), Tracy Howell, Lauren Duplin, Kristen Dubois, Aileen Wilson, and Allison Cree volunteered on a new affordable housing project as part of the Massachusetts Society of CPAs Day of Service. Matthew Boyle, Kerrie Gondola, Norma Mendilian, David Consigli, Brendan Lawrence, Tiffany Coulam, and Jeanie Gorlovsky-Schepp volunteered their time performing kitchen preparation at the Pine Street Inn homeless shelter.